Looking for a perfect career? If you feel like working with your own hands than welding can be a perfect choice for you. This career is absolutely exciting and rewarding and guarantees you a good salary as well. Below you can find more detailed info on this job and available training options. 4 Where Can Certified Welders Work in Maine? Welding is rather a complicated process which requires a bunch of skills. Welders heat and melt metal pieces in order to connect them together. To do it, you should be able to use a bunch of various tools and equipment. Working as a welder in Maine, you’ll be able to earn about $47 810 per year ($22.99 per hour). It’s a median welder’s salary in the state while a medial salary throughout the country is about $39 390 per year ($18.94 per hour). At the same time, the top 10% of welders in Maine earn about $69 680 per year. The top 10% of welders throughout the country have a salary of $62 100 annually. Where Can Certified Welders Work in Maine? Don’t know where you can start your career in Maine? Below there is a list of the best welding certification schools in Maine. 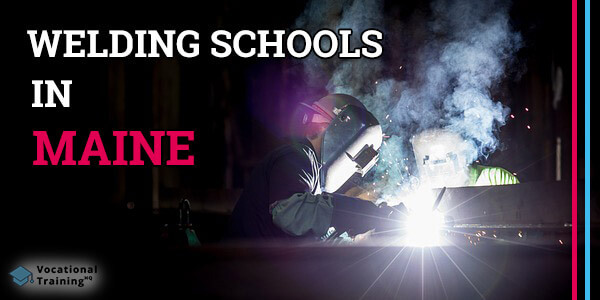 There are 5 schools that were approved by the American Welding Society’s SENSE Accreditation Program.